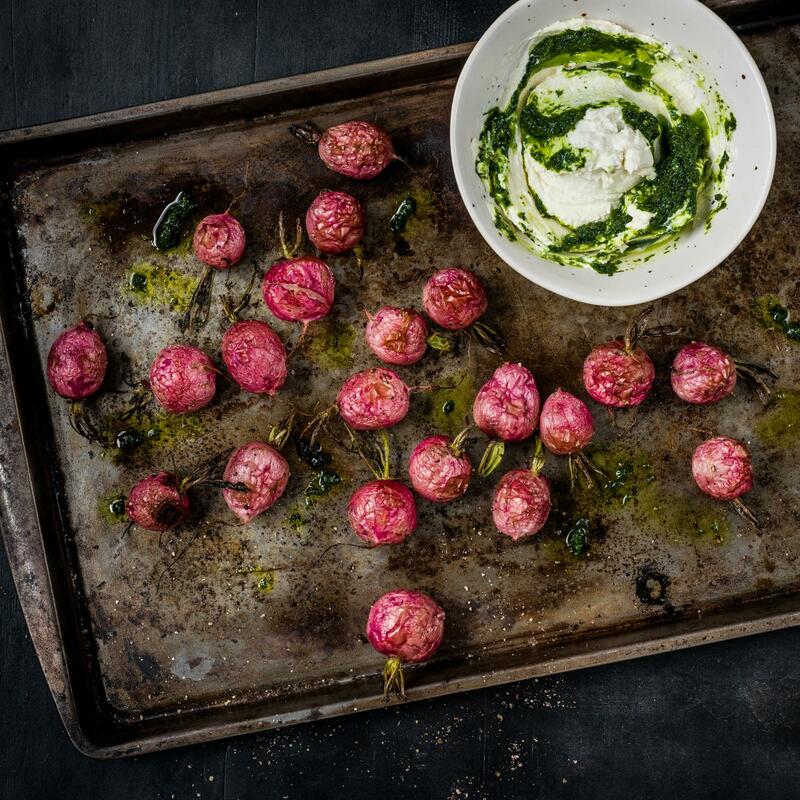 Mix the radishes, oil, salt and pepper in a bowl, spread onto a baking tray lined with baking paper. Approx. 20 mins. in the centre of an oven preheated to 220°C. Blanch the reserved radish greens in boiling salted water for approx. 30 secs., drain, puree with the lovage, dill and oil, season. Stir the cream cheese until smooth, fold in the herb pesto, serve with the radishes. Sprinkle with fleur de sel.